This is a unique idea...a customized base for your Unit Medallion. 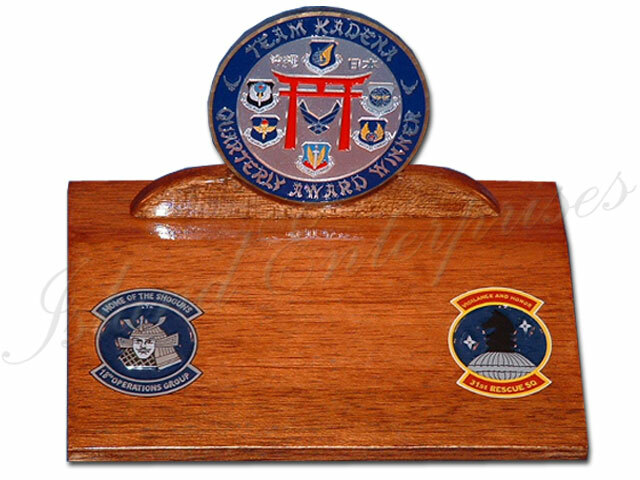 We can manufacture a wooden cradle to hold any size unit coin or medallion...like the 3.5" medallion shown in the picture. COIN/MEDALLION NOT INCLUDED! You can customize the base with any carved logos or text, as shown.